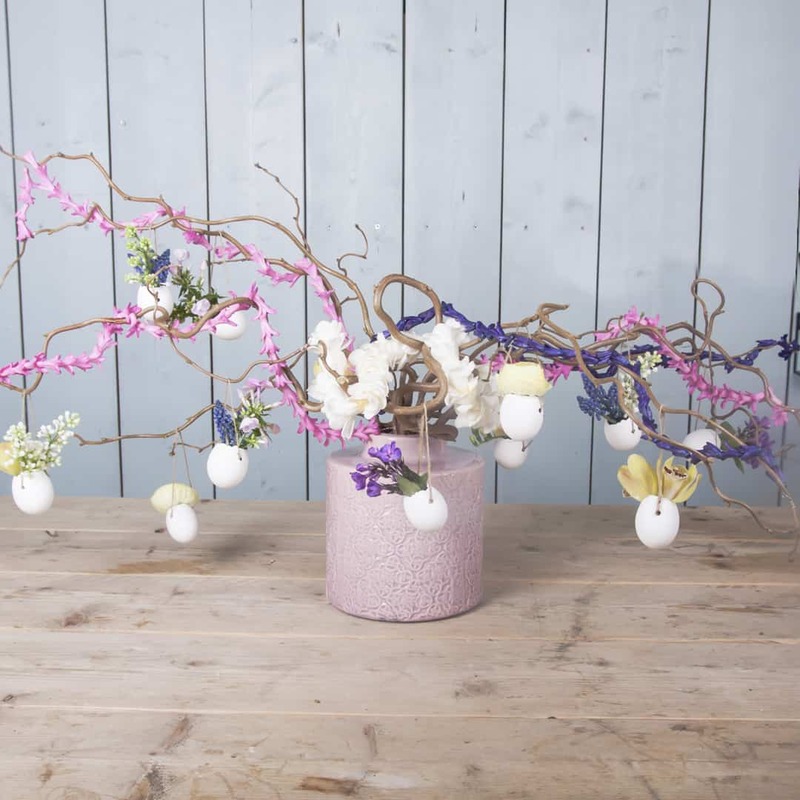 Easter is around the corner, and a vase with Corylus branches cannot be missed by celebrating this holiday! To make it extra special, our designer thought of a floral version. By hanging the branches with emptied eggshells, filled with flowers, an even more festive atmosphere is created. 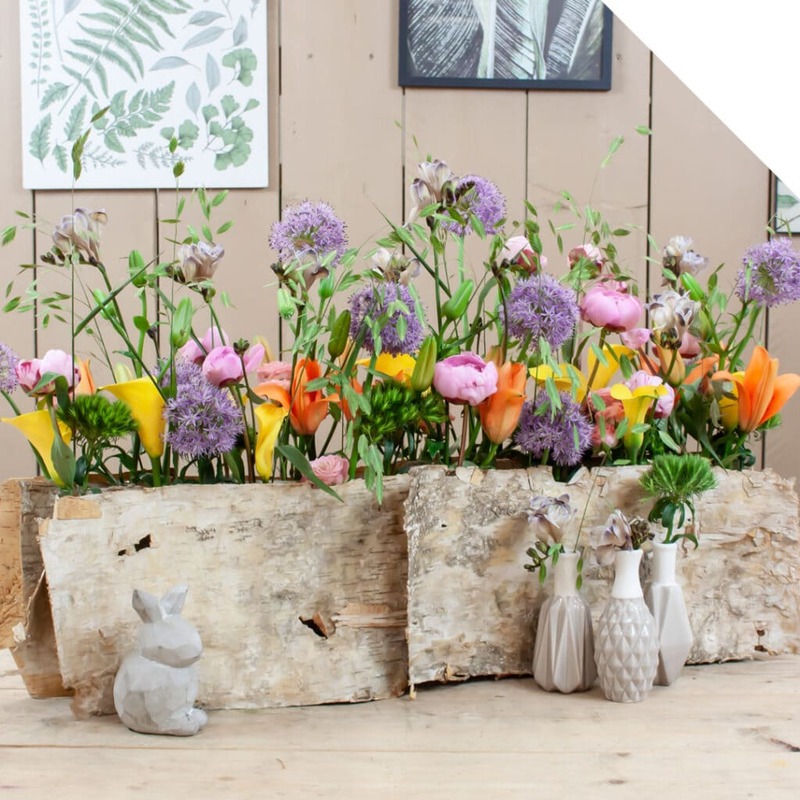 Be inspired by this video tutorial, follow the steps below and create this floral Easter tree. Put the Corylus branches in a vase. Fill all the eggshells with little pieces of floral foam. Cut a Cymbidium flower off the stem. Push the flower gently into one of the egg shells. Add three little pieces of Syringa. Hang the filled eggshell onto a Corylus branch. Fill another eggshell with a Ranunculus flower. Fill the other eggshells also with flowers. 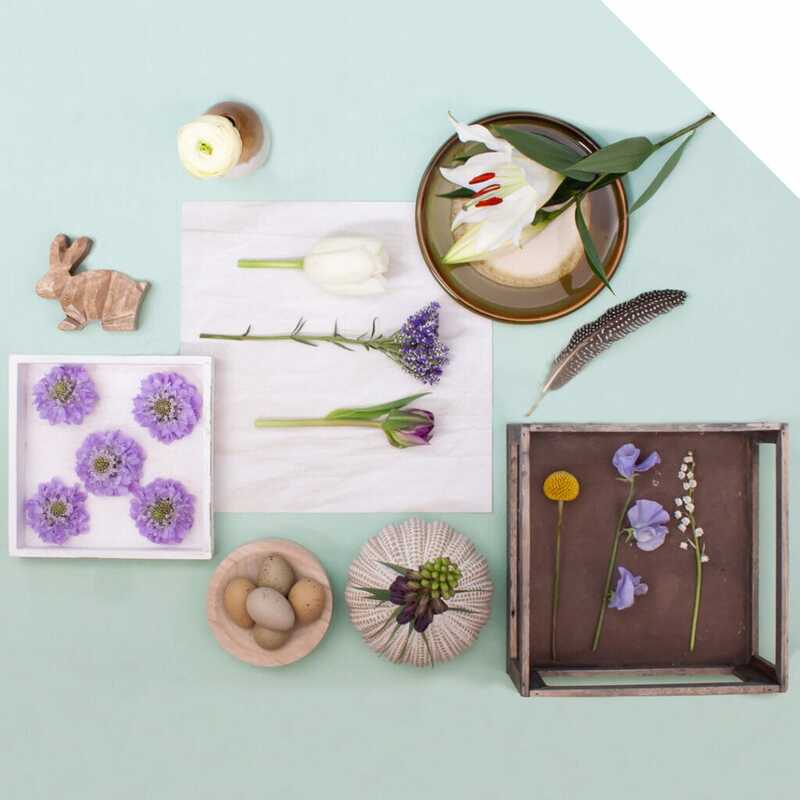 Try to make nice color and texture combinations and vary with the number of flowers per eggshell. Divide the filled eggshells equally onto the Easter tree. Now you start with the little flower garlands for an extra festive appearance. Separate all the Hyacinth flowers from the stems. Push the iron wire true each flower, and make 5 little garlands of approx. 60cm. Do the same thing with the Freesias. Hang all little garlands on the Easter tree. 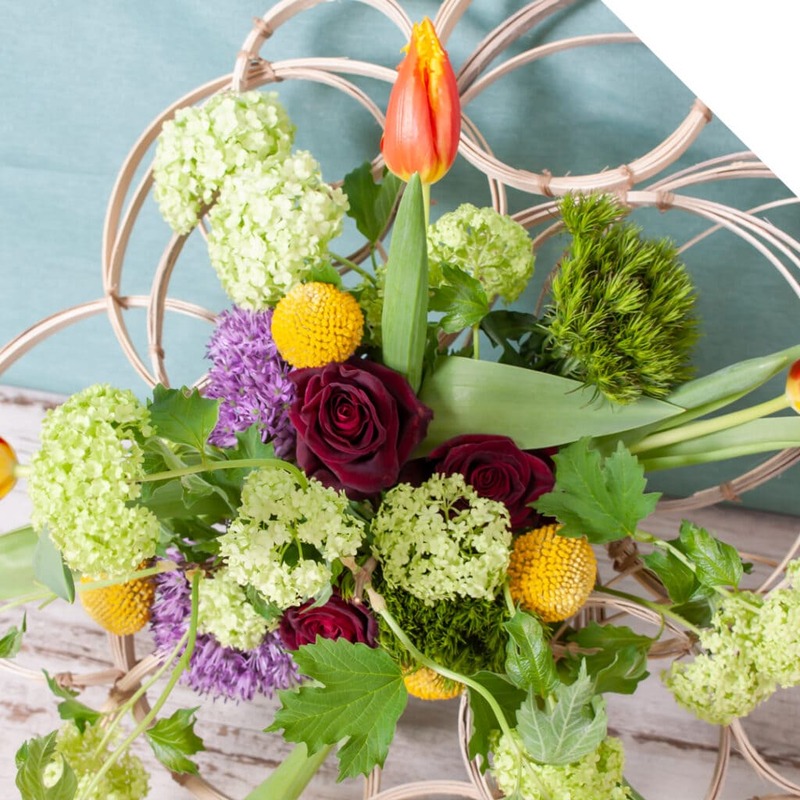 Attach one side to the stems near the vase, wrap it around, and secure the other side to one of the ends of the branches. Your floral Easter tree is ready for use! Enjoy!